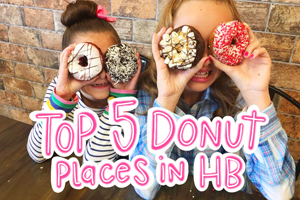 Its HB Littles Charlotte’s birthday! 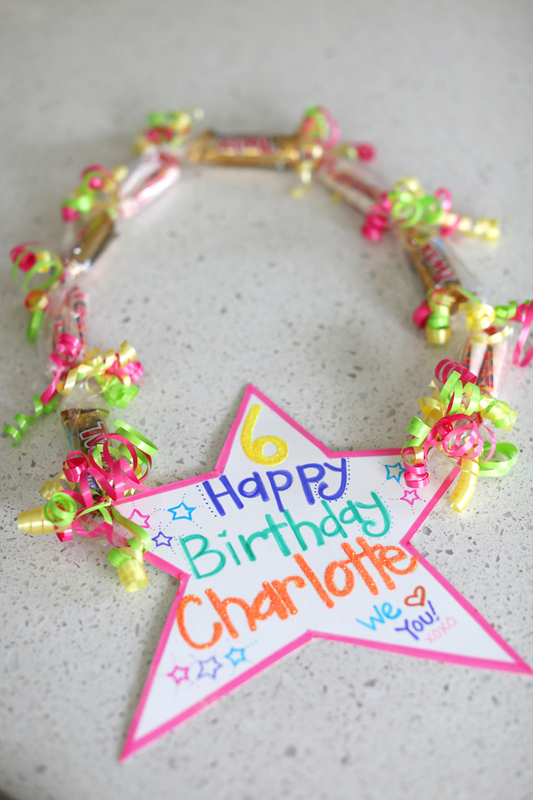 I love to make my girls a candy lei each year for their birthday. 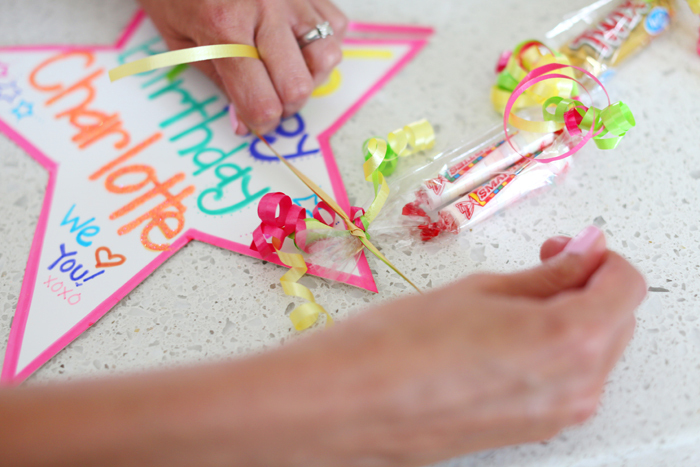 These are so easy to make and a fun way to make anyone feel special. 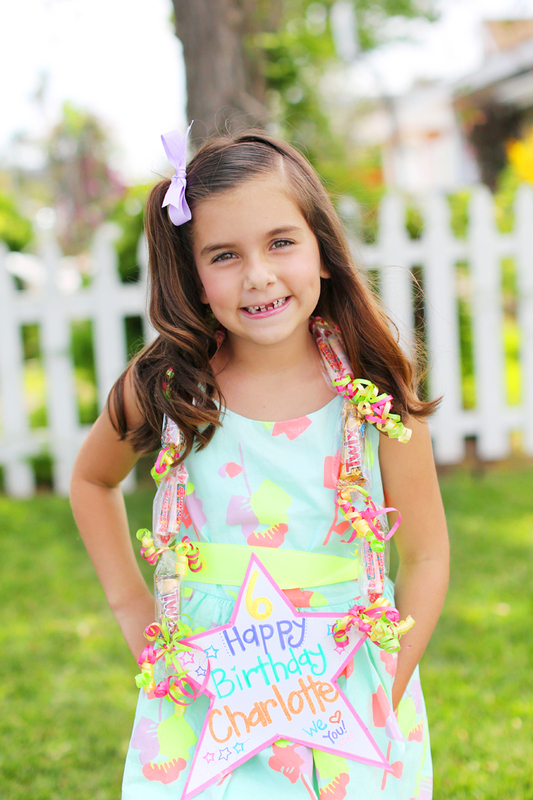 Hope you have fun making your own Candy Leis for your cuties! First you will need to decide how long of a necklace you want to make, keep in mind you will be adding a sign which will take up space. 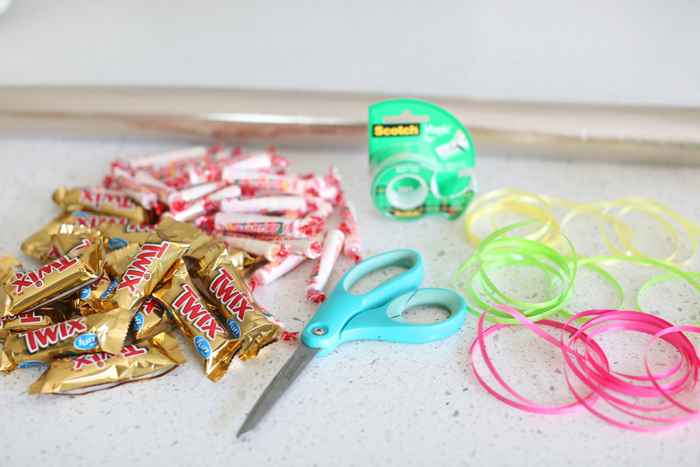 After cutting your cellophane your going to fold the cellophane making a “tube” to place the candy through. 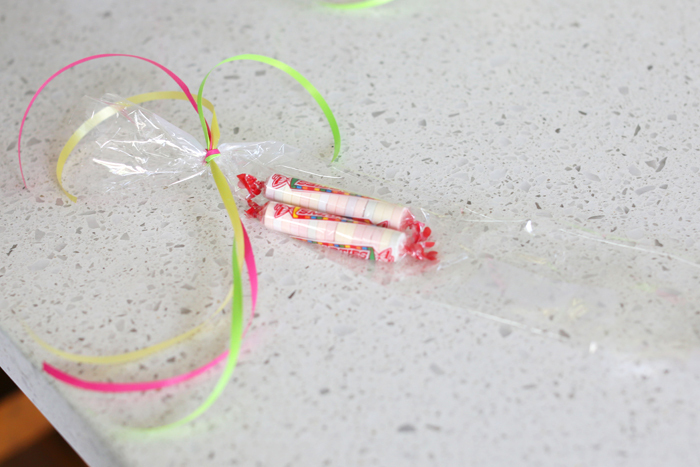 (it was difficult to see the clear wrap in the photos so we used a piece of colored paper underneath to help show what this looks like) depending on the width of your treats is how big of a tube you will need to make. 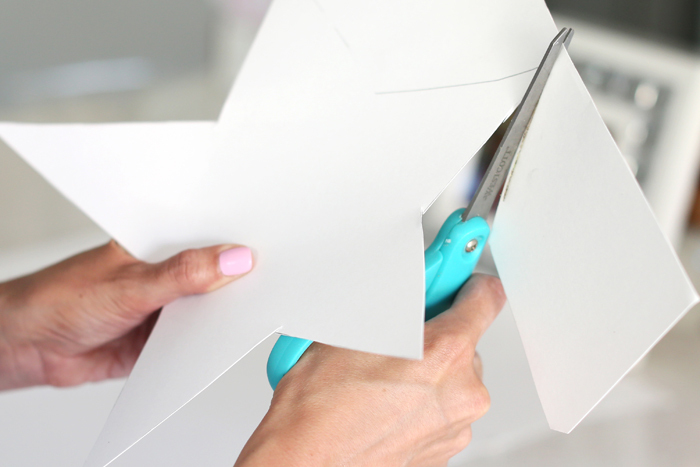 Cut along folded line to create the tube. 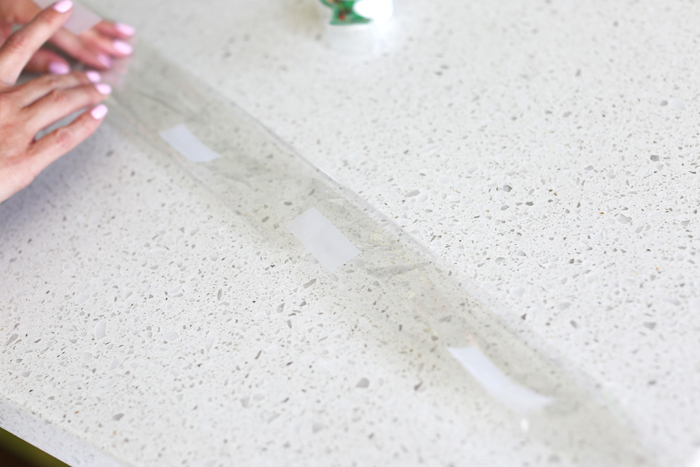 Use tape to seal ends of cellaphane together to create your tube. 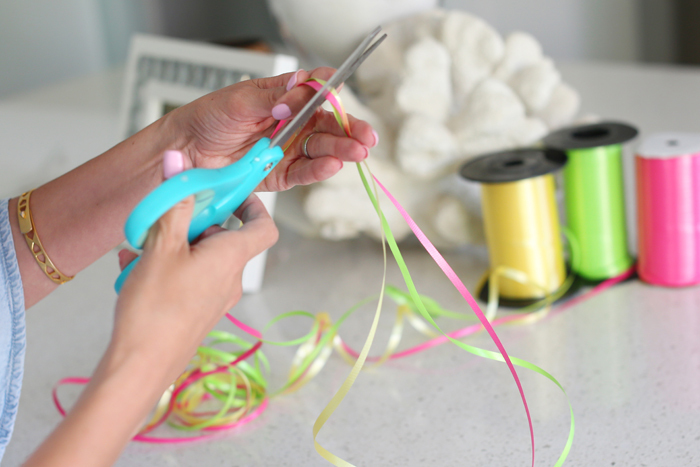 Cut ribbon into approx 10-12 inch strands. I like to use a variety of colors to make it more fun. 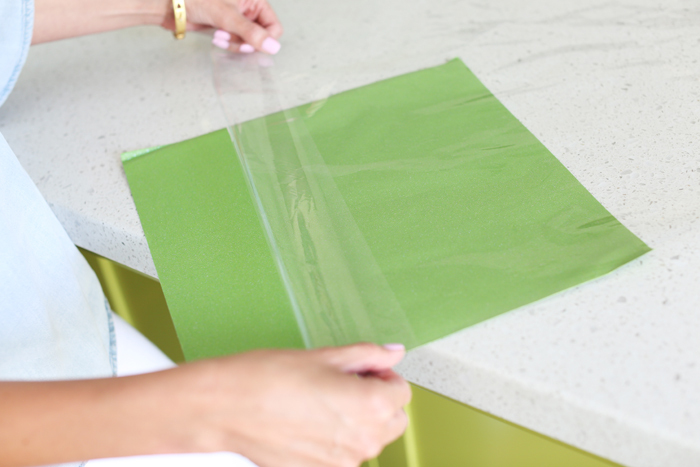 Start by tying 2-3 ribbon pieces in a knot at the end of your cellaphane tube. 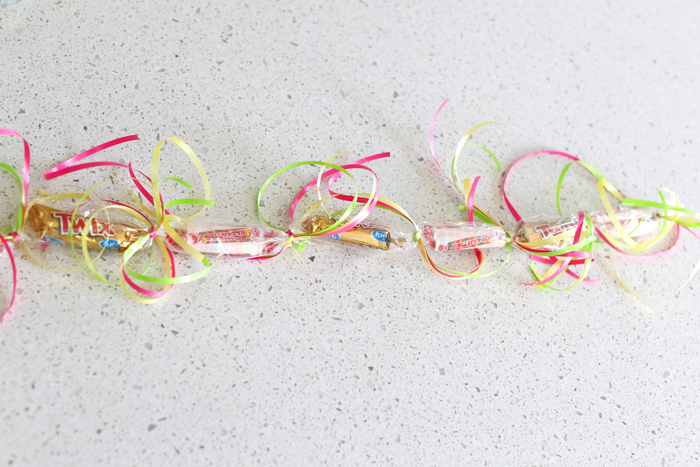 Insert a piece of candy or 2 and repeat, tying the ribbon after each grouping of candy. 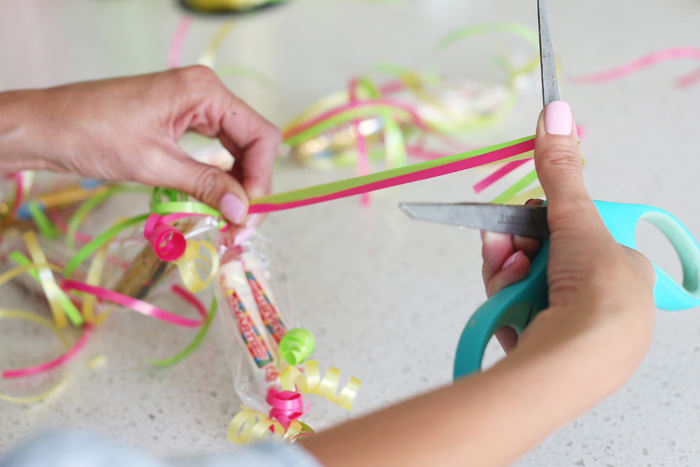 Your candy lei should now look like this… Curl the ribbon pieces by running the curling ribbon over your scissors… Next you will need to make your sign. You can make these any shape and decorate them any way you would like to make your special someone feel loved. Most of the time I use stars, I like how the points of the star tie easily to the lei. 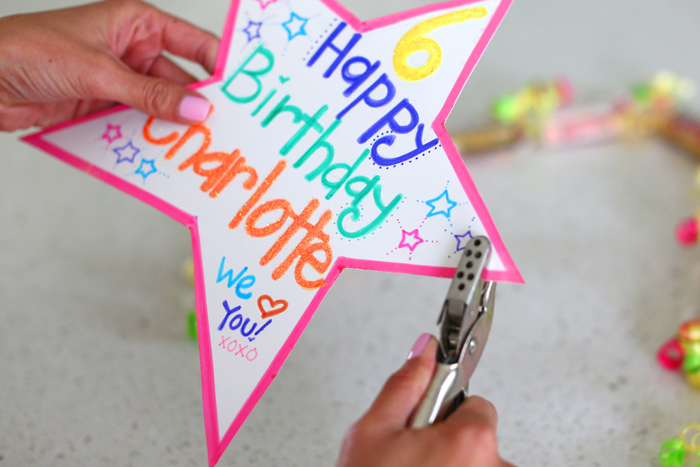 Decorate your sign with the birthday childs name or with a cute little message of love. 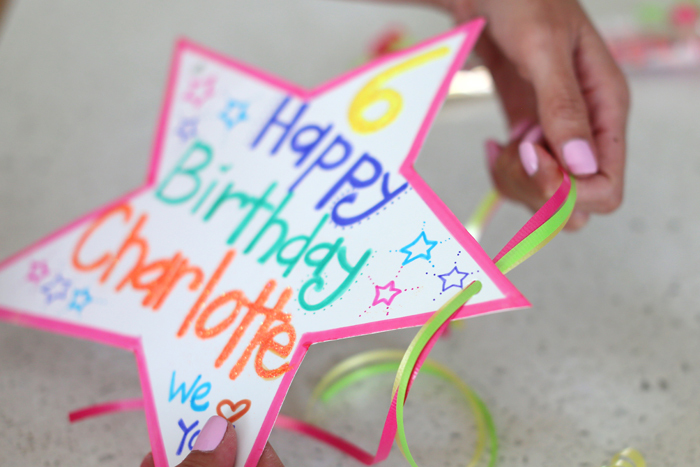 I added glue and glitter to the 6 and Charlottes name to make them pop and create a fun texture. I love the way the little star details came out… Punch a hole on each end of your sign. 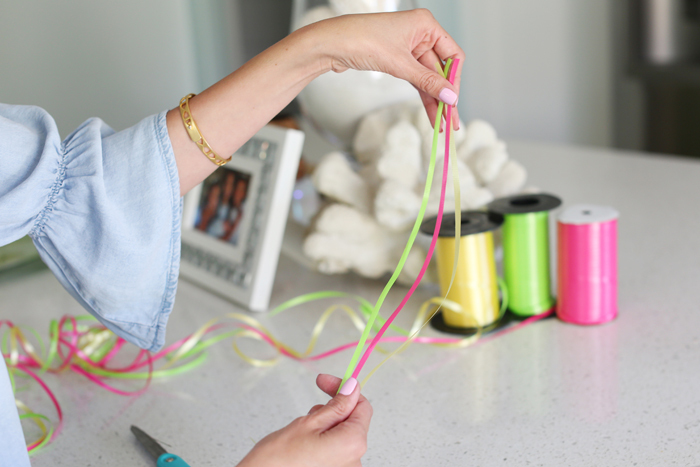 Insert a grouping of ribbon through your hole… Lay the end of your candy lei on top of your ribbon pieces and tie a double knot above the ribbon knot on the candy lei end to secure to the sign to lei. Repeat on opposite side. Tada! Love this tradition! You can make these for birthdays, graduations, dance recitals, football games, team parties, the skies the limit! Charlotte is feeling so special and loved today rocking her lei, we love this little cutie! Wishing her the happiest of days today!